Natural disasters, Are Your Tenants Ready for an Emergency? 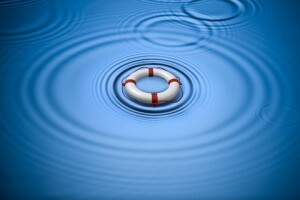 Home · Property Management · Latest News : Are Your Tenants Ready for an Emergency? Are Your Tenants Ready for an Emergency? Pennsylvania’s emergency preparedness officials are warning residents they should take steps to get their families ready to face and survive an emergency. The advice applies to all landlords with tenants who might be harmed by natural disasters. “This summer we’ve seen tremendous damage from repeated thunderstorms in parts of Pennsylvania, which reminds us that it doesn’t always take a big storm like Hurricane Sandy or Tropical Storm Lee to devastate property and disrupt lives,” Glenn Cannon, director of the Pennsylvania Emergency Management Agency said. Governor Tom Corbett signed a proclamation to designate September as National Preparedness Month in Pennsylvania and to encourage citizens to make family emergency kits and create emergency plans for their families at home and businesses. Cannon said history has shown that emergency responders cannot reach everyone immediately after a disaster, so everyone should have enough food, water, medication and other necessities, including pet supplies, to survive without outside assistance for at least three days. Family members should also prepare a plan to communicate and reunite if they are separated during an emergency. Adopting an emergency plan for your tenants can save injury and potential liability. Encourage tenants to stay informed about potential crises. Sample checklists for emergency kits and templates for emergency plans are available at www.ReadyPA.org.